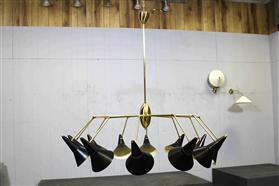 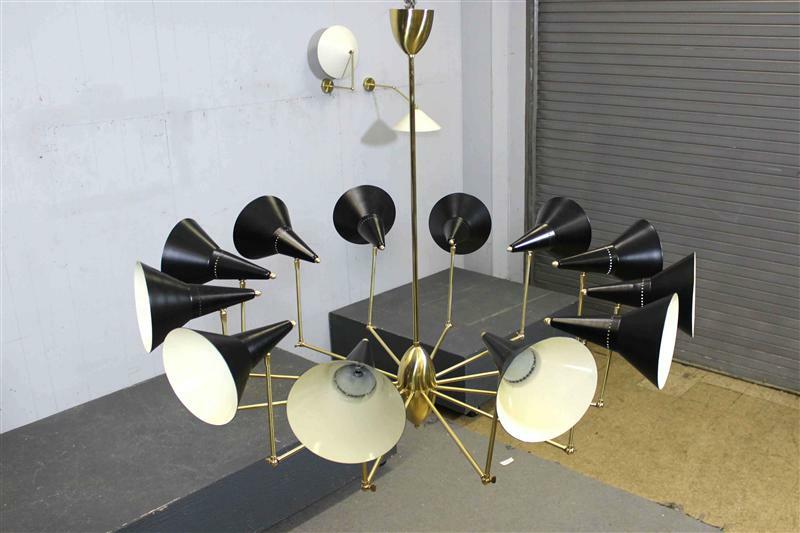 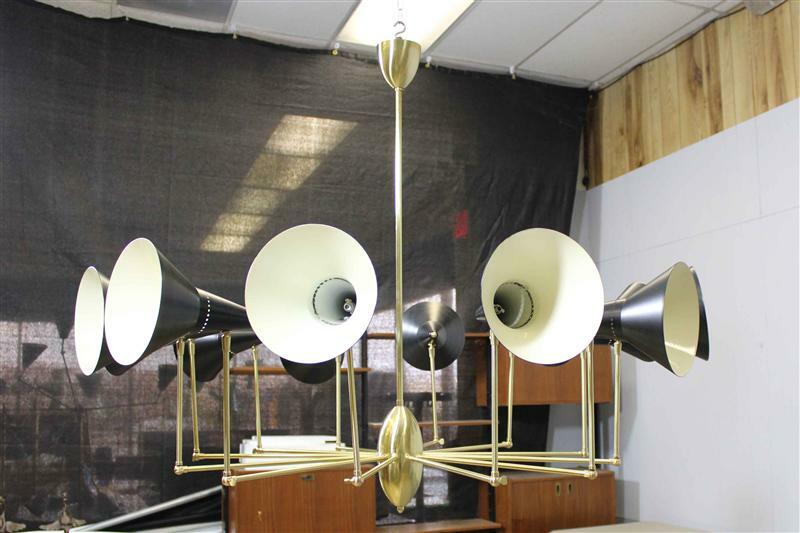 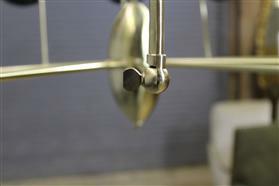 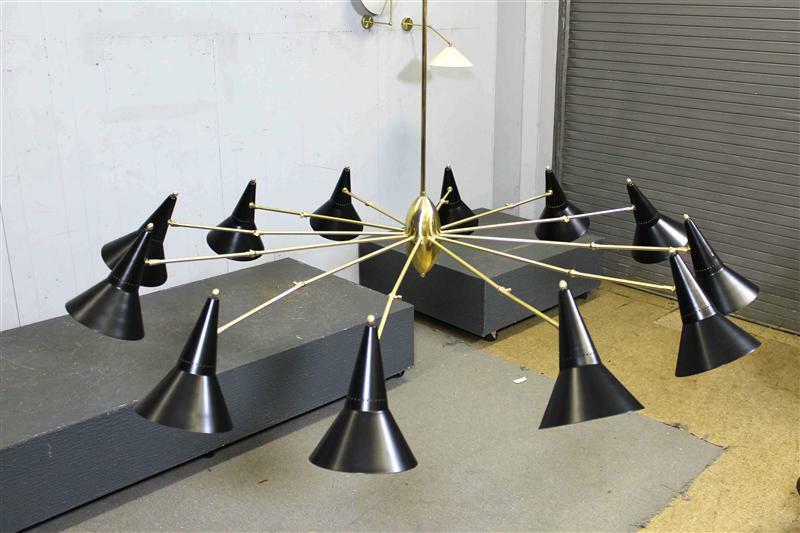 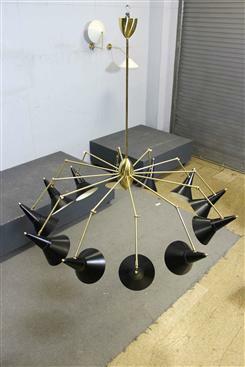 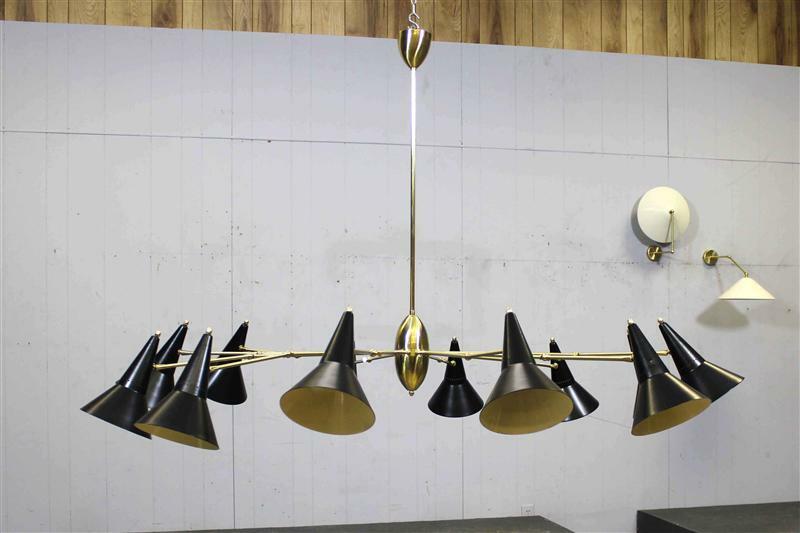 Height: 14" / 35.56cm / with rod 46"
Articulating all Brass 12 arms Chandelier. 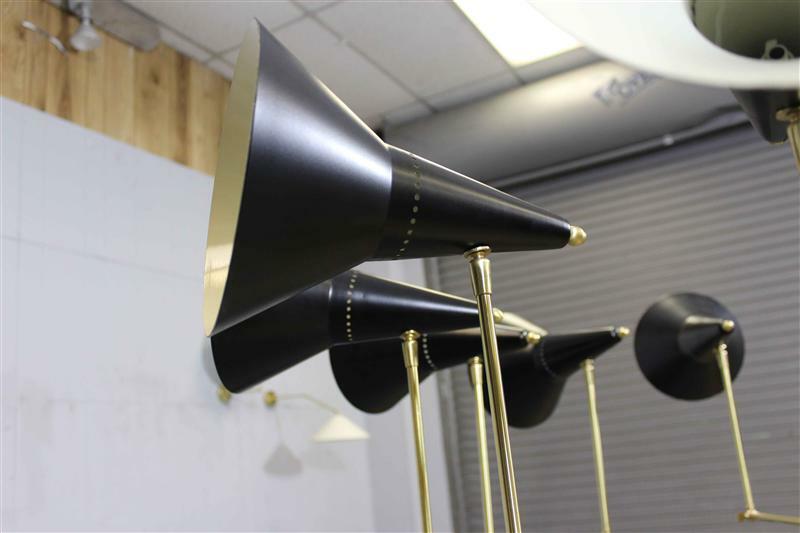 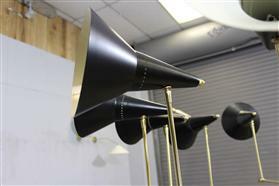 Black Cones. 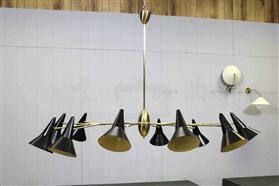 Please note: Chandelier needs to be Electrified Meaning.......it has no sockets, no Wires, and no Switch. 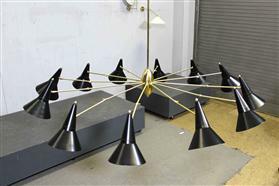 Any electrician or lamp store can do that to your specification.